Some say Green Lake is a small town. But we take pride in our size, and there is always something fun you can do—from music and theater, to hot air balloon rides and exciting escapade lake cruises. Whatever your fancy, we’ve got something making your stay in Green Lake unforgettable. 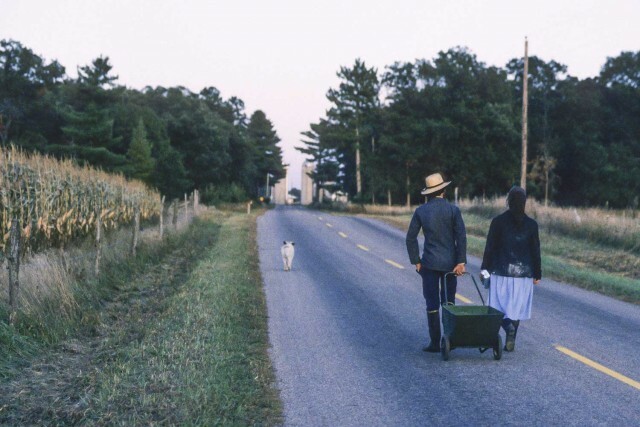 Beginning in the early 18th Century, Amish settlers began immigrating to the United States. One of the Amish communities in Wisconsin can be found in southern Green Lake and Marquette Counties. The settlements found here are Old Order Amish, with no tractors in the fields, no telephones and small one-room schoolhouses. There are many small Amish businesses in the Green Lake area, as well as businesses supporting the Amish heritage. They are mostly located in the Dalton and Kingston communities, and specialize in products that reflect their heritage – like woodworking, baking, cheese making, and greenhouses! Say the word “library” to someone, and what’s the first image that comes to mind? Strict old ladies shushing you? Dusty shelves of heavy old books? Sketchy-looking people sleeping in forgotten corner chairs? 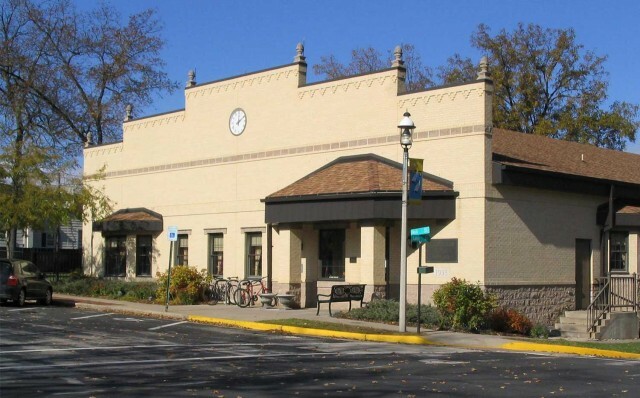 If so, you haven’t visited the Caestecker Public Library in downtown Green Lake lately. Here you’re as likely to see people knitting or finalizing a business deal as checking the shelves for a book. You’ll find kids building amazing LEGO structures every week or “sailing” in our wooden boat, most likely with a few puppets or stuffed animals along for the ride. You’ll see chess masters, jigsaw puzzle solvers, Minecraft players, and yes, readers, of every age and interest. And you will see award-winning movies screened on a regular basis. Celebrate local artists. Hear beautiful live music. Join folks playing cards, having meetings or participating in programs. In spring, you will find herb, flower and veggie seeds to “check out” for your garden. A few months later, you can swap seedlings or pick up extra produce. And, of course, your favorite authors and television shows are well represented in our collection. 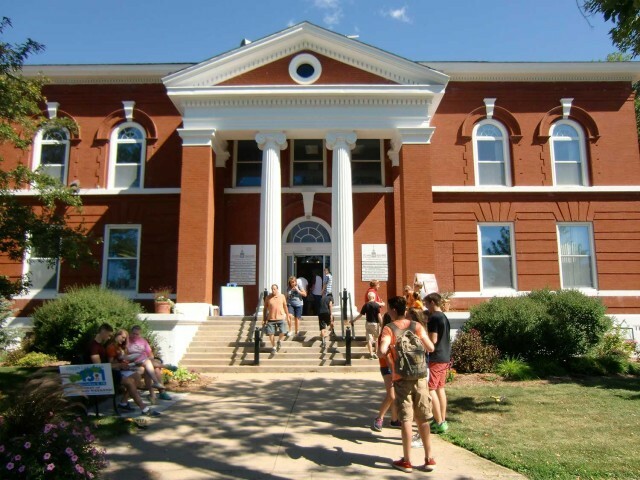 The Caestecker Public Library is a community center for residents and visitors to our beautiful part of Wisconsin. Come check us out. A treat for visitors and residents alike! Opened in 1935 as the first Marcus Cinema, Campus Cinema in Ripon is a historic site which reflects our area’s history. Ben Marcus, the founder of the first of the Marcus theaters did not expect for his business to expand to what it is today – a publicly traded company on the stock exchange and a world leader in entertainment and lodging! 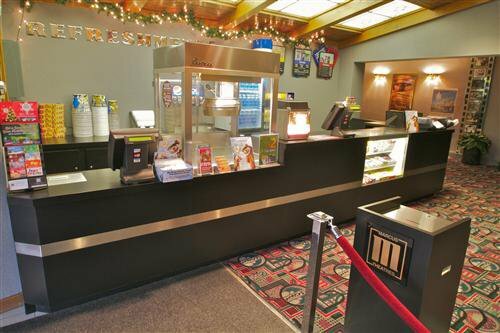 Located at the corner of Watson and E Jackson Street in historic downtown Ripon, seeing a movie at the Campus Cinema is a treat for visitors and residents alike! -tens of thousands of items to tell the story of the area’s history. 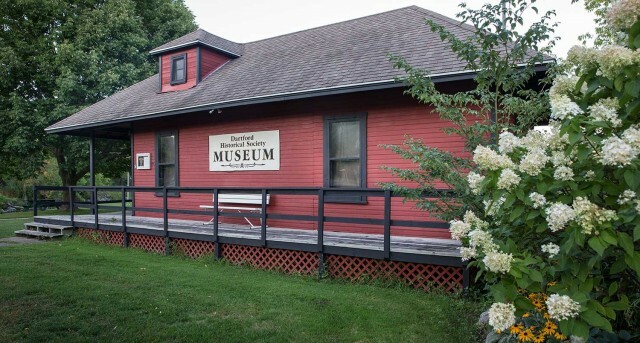 Since its founding in 1956, the Dartford Historical Society has collected and preserved tens of thousands of items to tell the story of the area’s history. 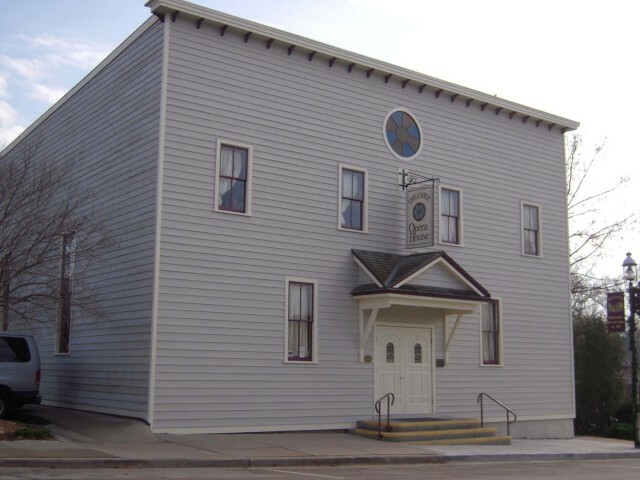 The Society’s Museum in housed in the 1870’s Fond du Lac and Sheboygan Railroad depot and features an overview history of the area. The Society’s archives and exhibit gallery can be found in the former public library. The Museum is open Memorial Day to Labor Day from 10 AM- 1 PM on Saturday. The archives and exhibit gallery is open Friday from 10 AM to 4 PM year round. Both facilities are also open by advance appointment. A small donation is requested at each site. -keeps the area’s roots alive. 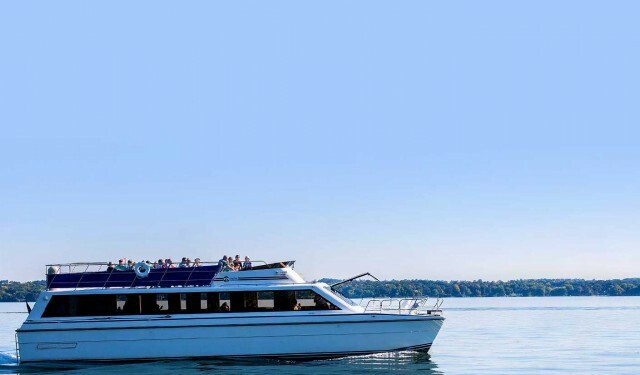 The only sightseeing tour on the lake, the Escapade keeps the area’s roots alive. The captains set the scene with tales of early inhabitants, all the way through to families who have lived or vacationed here and left their stories behind. Cruises set sail from the Heidel House Resort and Spa on the shores of Green Lake, for more information about the Escapade please visit here. A truly exciting, entertaining, and fun 90 minute guided Tour with a short Grandstand Show. 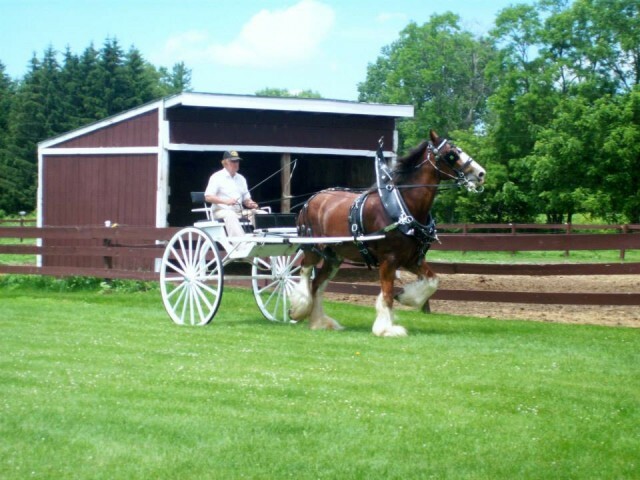 Open May through October, Larson’s Famous Clydesdales is quite the place to spend an afternoon! A short drive from Green Lake, Larson’s Famous Clydesdales is one of the only places in the United States where visitors can see fourteen famous Clydesdales up close and personal! Enjoy a truly exciting, entertaining, and fun 90 minute guided tour with a short grandstand show. Don’t forget to visit and pet and take pictures of the rare baby Clydesdale! Once you’re done connecting with some of the most adorable horses around, also stop by the museum and Clydesdale gift shop! No visit to Green Lake would be complete without a visit to the Thrasher. Built in 1910, the Thrasher Opera House served as a community center and venue for the performing arts for three decades, until its conversion into a warehouse during World War II. After the war, the building fell silent and slowly descended into disrepair. In 1994, local real estate broker Ron Hagstrom stepped in and immediately set to work turning back the building’s internal clock. By 1997, his restoration was complete, and in 1998 Thrasher started to host its own events once again. Today, Thrasher Opera House continues to delight residents and visitors alike. Its untiring commitment to showcasing top-flight talent in a small, intimate performance space has cemented its position as one of the most important cultural institutions in the area. The intimacy and friendly atmosphere of this historic treasure is the backdrop for creating memories that can last a lifetime. With first-class artists gracing the stage up to 50 times a year, there is never a shortage of variety from which to choose. And the expansion of the new bar/lounge area just adds another level to the patron’s overall experience. No visit to Green Lake would be complete without a visit to the Thrasher. Although Thrasher has been a fixture in Green Lake since 1910, it’s only been in the last 16 years that people have rediscovered the impact that live performance can bring to a community. For the last three years, our beautiful, historic courthouse has taken on a new life as a fabulous community center called Town Square, entirely created and supported by the people of the Green Lake County Area. People from all walks of life come to Town Square for yoga, cooking or painting classes. They come for the 24-hour fitness center or for the artist co-op selling the work of 20 area artists. They come for the galleries, meeting spaces, day spa or the certified commercial kitchen. It seems that our old courthouse is even more important in its second life than it was as a government building. It is still the glue. But it is the glue that holds our people together. Wisconsin grown wine with every sip. 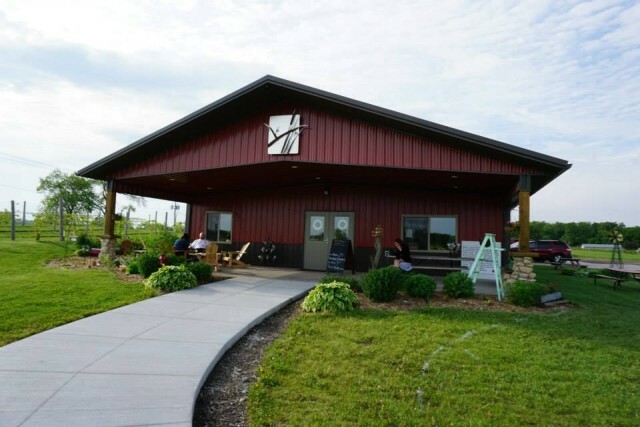 Located in neighboring Ripon, Vines & Rushes is a locally owned and operated winery featuring quality wines and ciders made from Wisconsin grapes. Their wines are an expression of the soil, climate, farming and winemaking practices that provide a sense of place to each wine. You’ll taste their commitment to a quality, Wisconsin grown wine with every sip. Located on the grounds of a historic family farm, Vines and Rushes gives visitors the opportunity to see the production process while enjoying a glass of wine, as the winemaking facility and tasting room share a building. You can have a seat, buy some cheese and crackers, go through a guided tasting led by the winemaker himself, and truly understand what it means to relax! You won’t leave empty handed either, as the wine is available for purchase. It’s truly a joy to be able to enjoy a tasting led by the experts and knowing that you can walk away with a bottle to remember your time at the best local winery around!